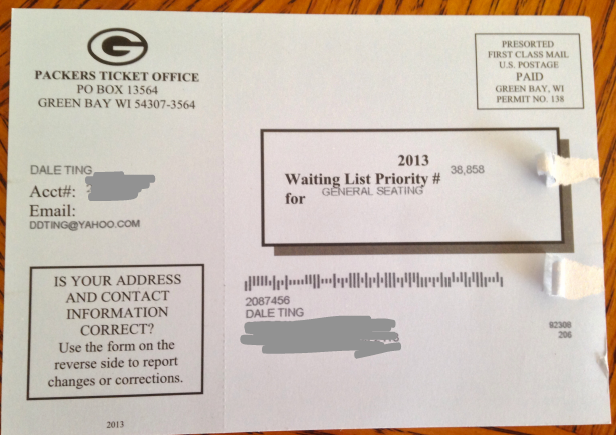 Received my 2013 Packers Season Ticket waiting list number! 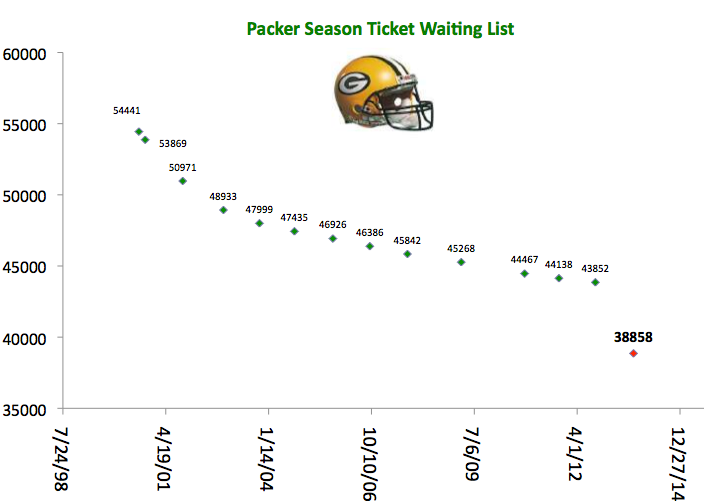 It took quite a drop due to the renovations to Lambeau Field (that I helped pay for by buying a share of Packer stock). This kind of messes up my projection. It was at 105 years previously. Drawing another regression line gives me 60 years. But the people mentioned in the article above got theirs in in 33 years (their father apparently put their names on the list when they were born). Gives me hope! Dale – I love these updates. I look forward to 30 more years of them! PS – I will throw you a party when you get your tickets!